T.B. Growing up in central Georgia gave me many outdoor adventures either in the woods or along the banks of the Flint River stories to tell my Grandchildren. 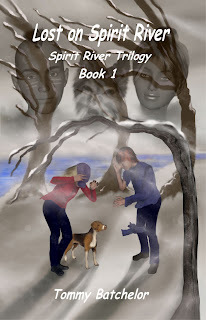 “Lost on Spirit River”, is Book 1 of the Spirit River Trilogy and My first Middle grade fiction for ages 10 and older. 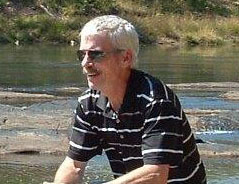 My first book was a picture book, “Sunday’s with Papa T, A River Adventure. I still reside today in Middle Georgia with greatest supporter, my wife, Cathy. T.B. Yes, one night my friend and I took off for the river to campout and fish the next morning. There were only six spots along the bank where we camped, we left in the early evening, and the weather was still warm. When we arrived at the river, nobody was there; we had our choice of spots. Of course, we took the best spot. My friend setup his tent, he also had a sleeping bag, and I had none. It was a nice warm day! I set out to catch some fish, I caught one! I place the fish in the cooler filled with water. In our hurry to get to the river, we forgot food, cleaning kit, and no cookware and me without a coat. I paid the price as the night fell, the temperature fell very fast. My friend also brought his lantern; we hooked it to the top of the tent. I had to stand up all night, the heat from the lantern kept the top of the tent warm. When leaving I grabbed the cooler with the fish, I opened it up to check on the fish. The fish and water was frozen solid. T.B. I don’t think I ever wanted to be a writer, my Grandchildren sparked my interested in writing Lost on Spirit River, I was able to use what I know about the river and event’s like the snowstorm, and I wanted this book to spark interest back into the real founders of America, the Native Americans. T.B. My first book, a picture book, “Sunday’s with Papa T, A River Adventure for ages 5 – 9 was one of the hardest things I’ve done in my life. 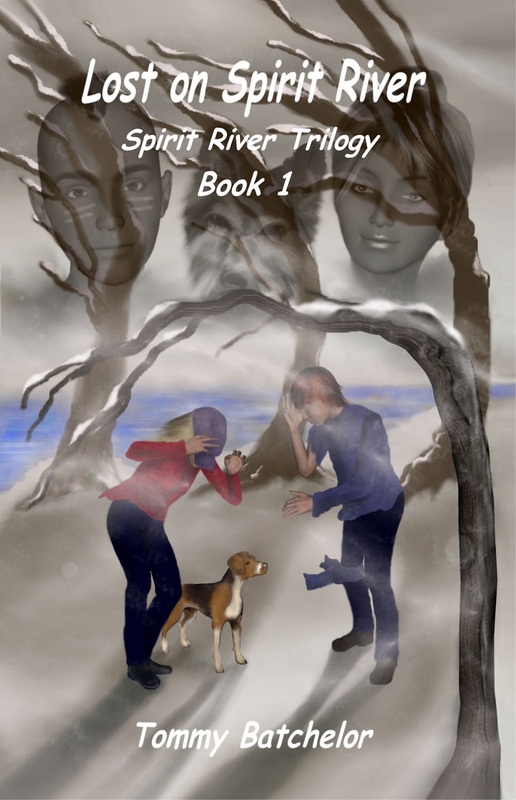 “ Lost on Spirit River” is a middle grade novel for ages 8 – 14 and will enjoy this easy chapter read. K.S. What would you say has inspired you most in your writing career? T.B. That would be Mom, she was a big reader of books and told me after I published my first book, she had always wanted to write a children’s book. T.B. My family are my biggest supporters in my writing, without them “Lost on Spirit River would never had got publishes. T.B. All the self-publishing companies out there that try to get you to publish with them. You really have to do your homework and research these, as I have come across several that wanted nothing more than your money. T.B. It was the love of the great outdoors and my Grandchildren! I wanted to leave something other than money and photos to my grandchildren. This is something they can past down to their children’s. Smoke from the village fires lifted though the trees, and light winds steered it to the river. Fog then intertwined with the smoke, pushing it up out of the valley. The sun was rising out of the east; a new day was dawning, and villagers were up early, packing the last of their personal belongings, planning to leave their land. summers, were the last to leave the cold waters, their clay pots flowing to the brim with red river clay while their dog “Wolf” followed close behind on their heels. As the two children rushed to the edge of the opening to the “Spirit River Cave,” the Panther Clan warriors labored to set huge stones into place, securing them with red river clay; once dried, it would seal the stones in place for a very long time. T.B. Patience, it takes time to publish a book. Don’t rush if self-publishing your book, if it looks bad it hurts all authors who self-publish. Just remember, that book you take out of the box is your baby and you want that baby to shine and grow!